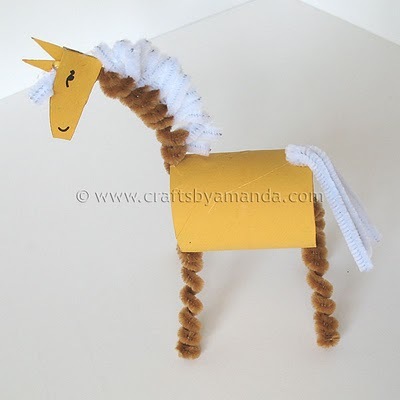 Make this cute horse from chenille stems and cardboard tubes! A great recycling project. Make a Cardboard Tube Horse.